Our pre-sales support service offers you full information on our products in order to help you choose the most appropriate product for your needs. Contact us now! 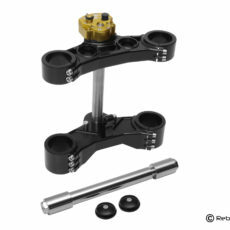 Our FXR Co-Branding REBUFFINI / FXR DIVION USA triple tree comes pre-arranged for the steering stabilizer Scott by Öhlins. 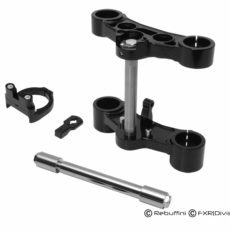 It has been designed to be combined with Ohlins FG 424/324 legs. CNC billet machined, from high-quality aluminum. The nice and elegant design allows you to give your bike a strong and distinctive sign. It is highly polished by hand and then anodized black. Even the screws are polished. top plate, bottom plate, pivot axle, clamp chassis and wheel axle 25 mm. 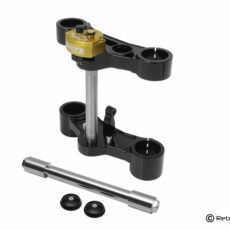 Available also to purchase separately the steering damper Scott by Öhlins # 000955. 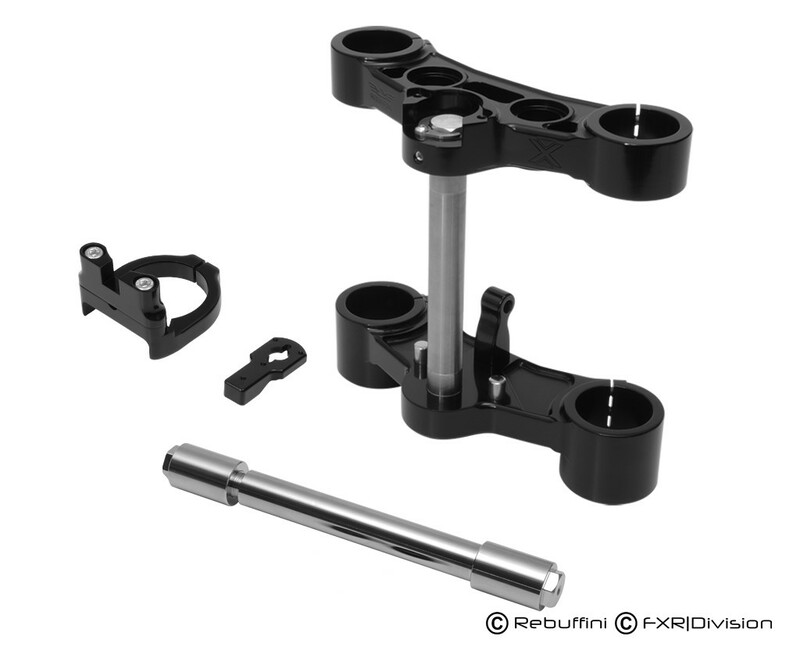 On request we also supply the Öhlins inverted front forks FG424/324.